The nylon fiber industry was born in 1939 when 64 million pairs of nylon stockings were sold--and to this day, most people still associate nylon with fibers. 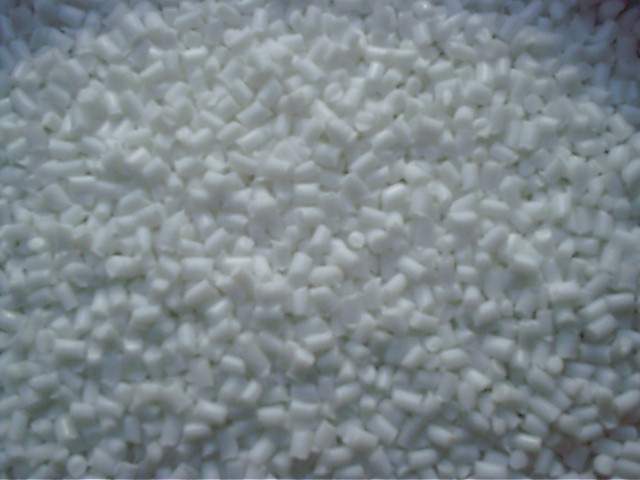 However, in the 1940s and 1950s work continued on developing nylon compounds that could be molded and extruded or otherwise processed like plastics. Typical applications for nylons are in automotive parts, electrical/electronic uses, and packaging. Nylon is a generic name for a family of long-chain polyamide engineering thermoplastics which have recurring amide groups [-CO-NH-] as an integral part of the main polymer chain. Nylons are synthesized from intermediates such as dicarboxylic acids, diamines, amino acids and lactams, and are identified by numbers denoting the number of carbon atoms in the polymer chain derived from specific constituents, those from the diamine being given first. The second number, if used, denotes the number of carbon atoms derived from a diacid. Commercial nylons are as follows: nylon 4 (polypyrrolidone)-a polymer of 2-pyrrolidone [CH 2 CH 2 CH 2 C(O)NH]; nylon 6 (polycaprolactam)-made by the polycondensation of caprolactam [CH 2 (CH 2 ) 4 NHCO]; nylon 6/6-made by condensing hexamethylenediamine [H 2 N(CH 2 ) 6 NH 2 ] with adipic acid [COOH(CH 2 ) 4 COOH]; nylon 6/10-made by condensing hexamethylenediamine with sebacic acid[COOH(CH 2 ) 8 COOH]; nylon 6/12-made from hexamethylenediamine and a 12-carbon dibasic acid; nylon 11-produced by polycondensation of the monomer 11-amino-undecanoic acid [NH 2 CH 2 (CH 2 ) 9 COOH]; nylon 12-made by the polymerization of laurolactam [CH 2 (CH 2 ] 10 CO)or cyclododecalactam, with 11 methylene units between the linking -NH-CO- groups in the polymer chain.